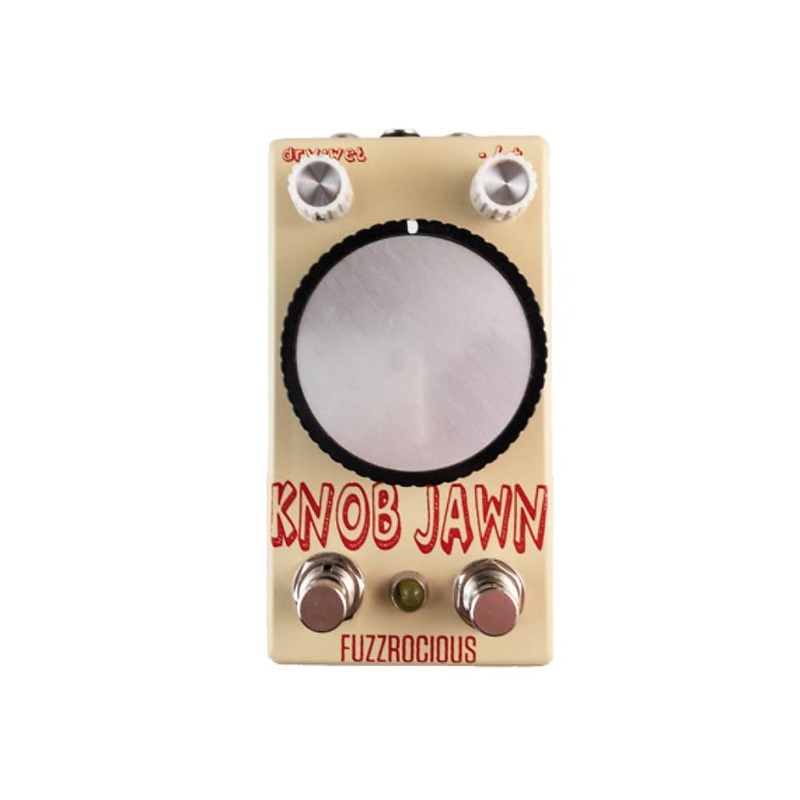 The Fuzzrocious Knob Jawn is an octave pedal with both analogue and digital versions of the effect. 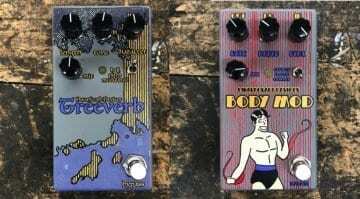 All squished into one boutique hand-made pedal from the family run company based in Mount Laurel, NJ, USA. The new to Fuzzrocious Knob Jawn gives you both a monophonic, dirty analogue octave up and a slightly more refined and cleaner polyphonic digital octave up and down. Now, you can run either side by itself, so just pure analogue or digital octave. But where would the fun in that be? No, what you really want to do is grab that big ol’ knob in the centre and blend the two effects together. 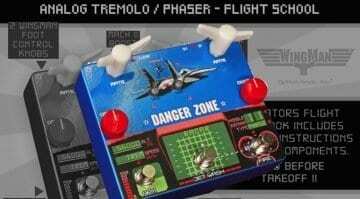 This allows you to create hitherto unknown octave textures will. Plus you have controls to blend your clean signal with the digital octave or you can use the blend/solo knob to choose octave down, octave up, or a just blend of the two. Sounds filthy. I like it. 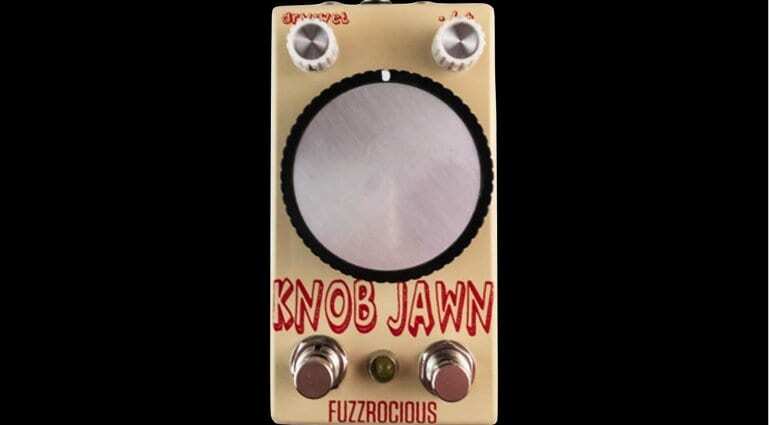 Fuzzrocious Knob Jawn – That is a big knob! Fuzzrocious make some strange and out-there effect pedals and this is certainly a unique one. Pretty, sure nobody else has done anything quite like this before. Be bold, try something new and tweak that knob. 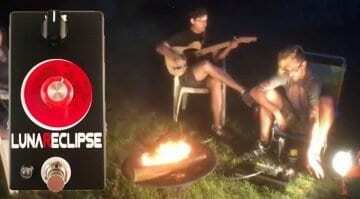 You can use it happily on guitar or bass, they even made a demo of each to prove it. 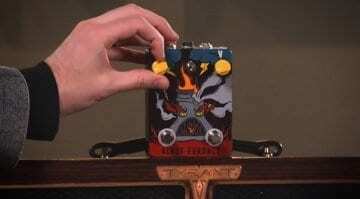 I’m an owner of one of their Blast Furnace pedals, which is also bonkers, but I do love it. Fuzzrocious make effects for those that like to push the boundaries and the demented, so well worth checking out I would say.